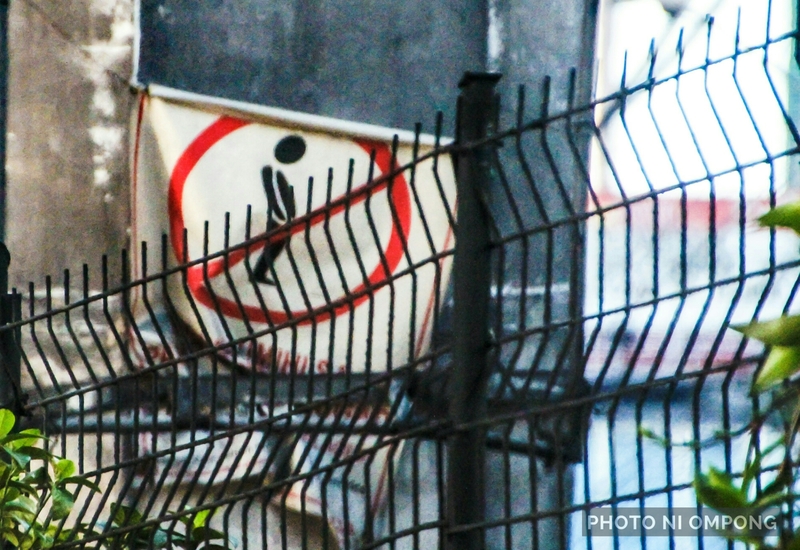 Believe it or not… We have a traffic sign that says, “No peeing” in one of our major roads called EDSA connecting all cities. We are indeed a pissful nation full of pissful citizens. Piss be with you all! Shhhhh… It’s Wordless Wednesday. Don’t speak a word, I’m putting! Yup… And smelly too! Hehehe! Seriously? You need a sign? I guess it is all relative. In the US, this firm Goldman Sachs, paid a 5 billion dollar fine for the corruption that led to the financial crisis in 2008. Within a week or two, they ran political ads supporting Hillary Clinton, without batting an eyelash. And no one even said anything. That is how corrupt the US is becoming. It is all just par for the course. I think corruption is a worldwide cancer… And citizens are allowing it to a certain extent that it almost look like it is “acceptable” and “legal”. And also to you, haha! Correct… You have to go if you need to go! … And if you get used to the smell, it doesn’t smell at all eventually. Hahaha! Hahaha! Yup, I laughed all the way to my office when I saw it! Of course… Women can do it without anyone noticing it. They just stand there and let the water dribble. Hahaha! No offense, I’m just joking. LOL! I don’t think so! It’ll be noticeable!